USA, DRAPED BUST HALF CENT, 1804 crosslet 4, with stems. Good fine/very fine. 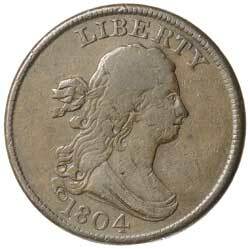 USA, LARGE CENT, matron head, 1822. Tiny reverse rim knocks, otherwise good very fine. 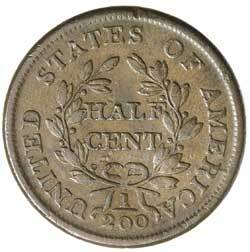 USA, MATRON HEAD LARGE CENT, 1838. Cleaned, otherwise very fine.